Today in KISStory - 1980: Peter Criss' first departure from KISS. Apparently, Peter Criss was 'voted out' in a band meeting with Gene Simmons, Paul Stanley, Ace Frehley and Bill Aucoin. KISS bassist Gene Simmons has made it clear that Peter Criss was fired; Paul Stanley too has discussed Criss' departure in several interviews, including the commentary on KISSology 2. In Ace Frehley's book "No Regrets", Ace also stated that Criss was fired during a band meeting in which Frehley was outvoted by Gene and Paul. Peter Criss however has maintained that he quit the band. The video for the song "Shandi" was shot in one day, and Peter was out of the band at that time; said Paul Stanley, "After we finished shooting, Peter packed up his things, and went home." 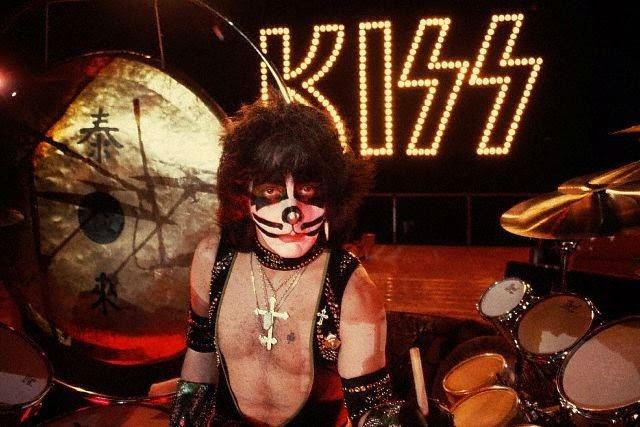 Peter Criss officially left KISS on May 18, 1980. As a result, KISS postponed the European tour until the end of August, thus giving the band enough time to find a replacement drummer, whom they found in Eric Carr.